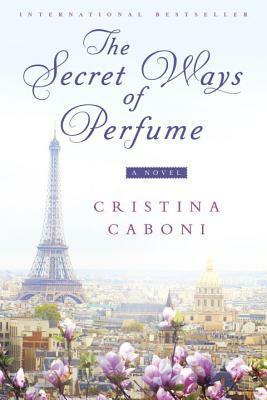 Goodreads: Ten-year-old Elena lives in Florence with her cold and distant perfumier grandmother. Only when enveloped in aromas does Elena feel at home, and she has nurtured a unique gift: the ability to decipher the ingredients of a perfume, and experience the feelings it evokes. Kritters Thoughts: Elena comes from a long line of ladies who have devoted their lives to the perfume world. She ran away from that world and thought the man she was with would help her build a new life; instead he is almost repeating her childhood and she must go to Paris to find a new path. The one thing that I didn't love about this book was the amount of time spent on Monique, Elena's best friends life. I felt as though there were a few spots where I could have read less of her story because it didn't affect Elena's story; I just felt like it was too much and I wish it had been left out a little. Beyond that, I loved it. I have read quite a few books at this point about perfume and there were a few times in those books that they felt so technical and I lost the story - NOT so in this one. Of course there were technical moments, but they didn't interrupt the narrative, but instead added to it at the right times. So add this one to your list of great perfume novels. Thank you for the review. A new book for me.